Time to share another Sketchy Thursday...a bit late. This one was fun for me and I hope you guys will find time to play along for a chance at the monthly prize. 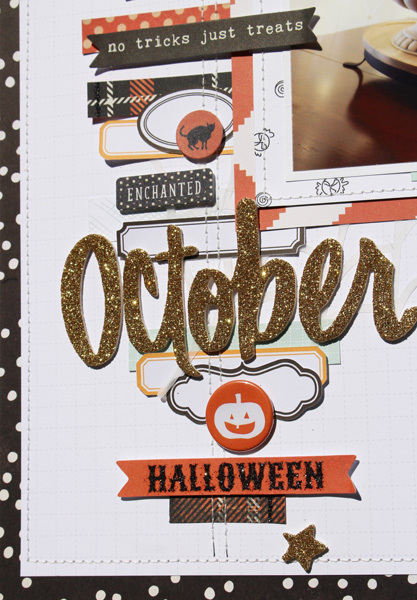 For my example I have used the This is Halloween Kit, Add on Kit, and Digital Print and Cut files. And a little close up because the bits and pieces in this kit are just too fun with sparkle. Absolutely fabulous! The photo is gorgeous and the attention to detail is inspiring, loving the subtle cobweb!